And true to form, when we received an order for over 60 large national flags they were to star in the world’s third largest international multi-sport event – the 2013 World Police and Fire Games (WPFG). The biennial sporting event, which took place in Belfast, is for serving and retired police, fire, prison and border security officers and featured 56 sports with almost 7,000 competitors. 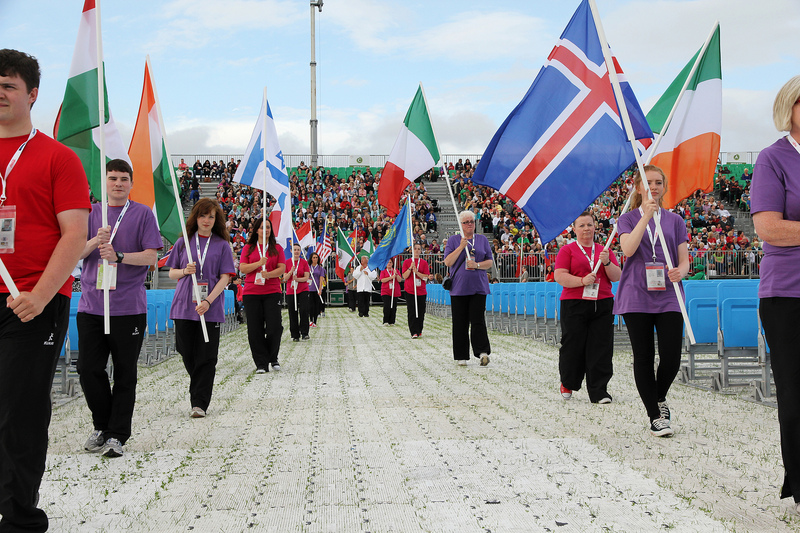 Our 1 yard flags were also in demand as we supplied one from every competing nation, all 67 of them, which WPFG stitched together to create one giant flag – no mean feat! What a great event for bringing together service people from around the world, for celebrating the great work they do and for seeing our flags take centre stage! This entry was posted in Hampshire Flag Company General by amaze. Bookmark the permalink.